We still don’t have any confirmed reversal pattern. Also, there’s a possible bullish “Three Methods”. So, the pair is likely going to test the upper “Window” in the coming days. 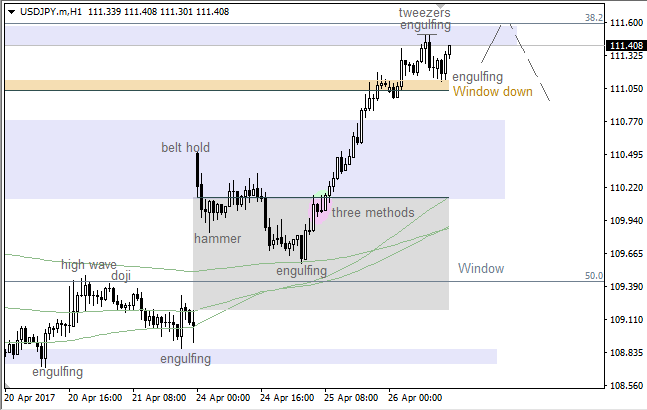 There’s an “Engulfing” pattern on the lower “Window”, which has acted as a support. 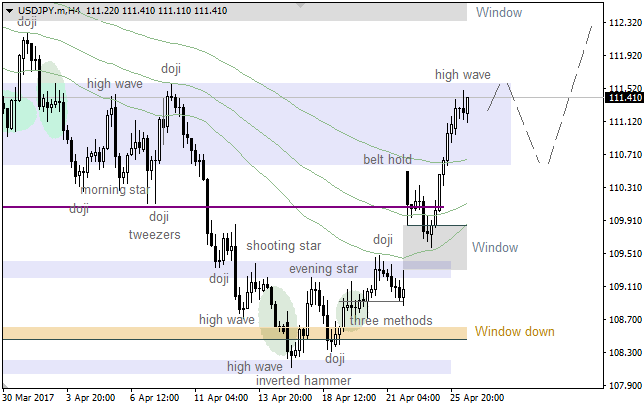 In this case, the market is likely going to continue moving up towards the nearest resistance level.